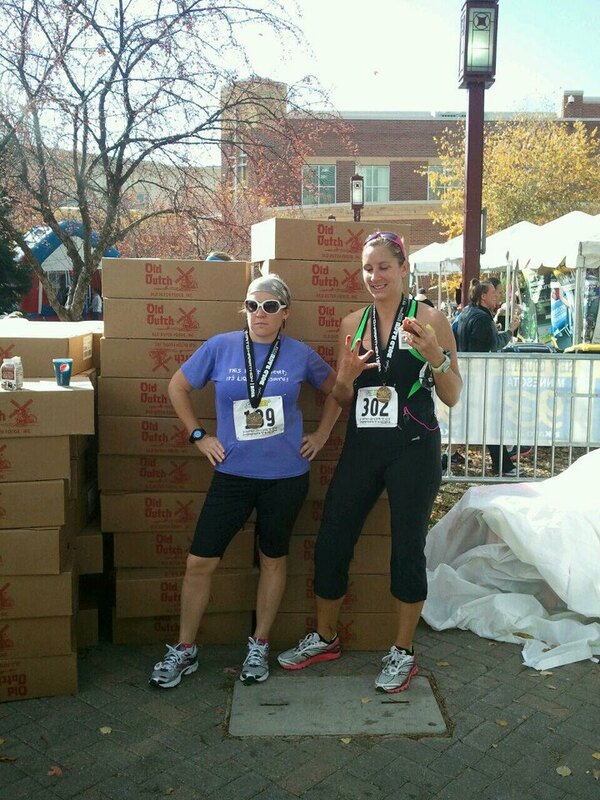 Running 26.2 sounds crazy right? But what about 26.58??? That is what my Garmin rolled over in mileage at the Mankato Marathon Sunday October 21, 2012. 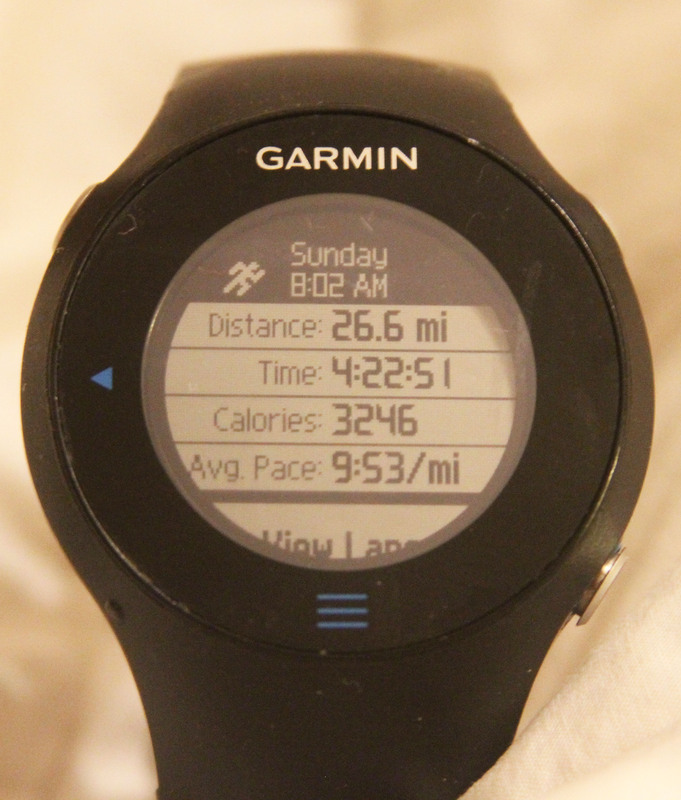 (Watch says 26.6 because I didn’t stop it right away). But how about that calorie count??? In order for a marathon to be a Boston Marathon qualifying race it has to exceed the 26.2 mark to ensure that runners have gone the distance, if you will, because 26.1 might not be enough??!! 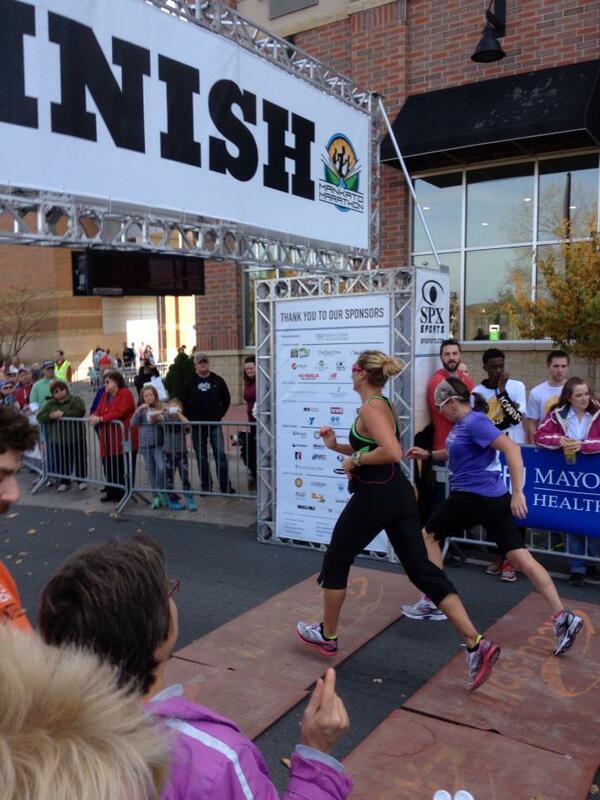 Anyway, this was Mankato’ 3rd marathon, they have re-marketed it as the BOLD RACE, starting this year. 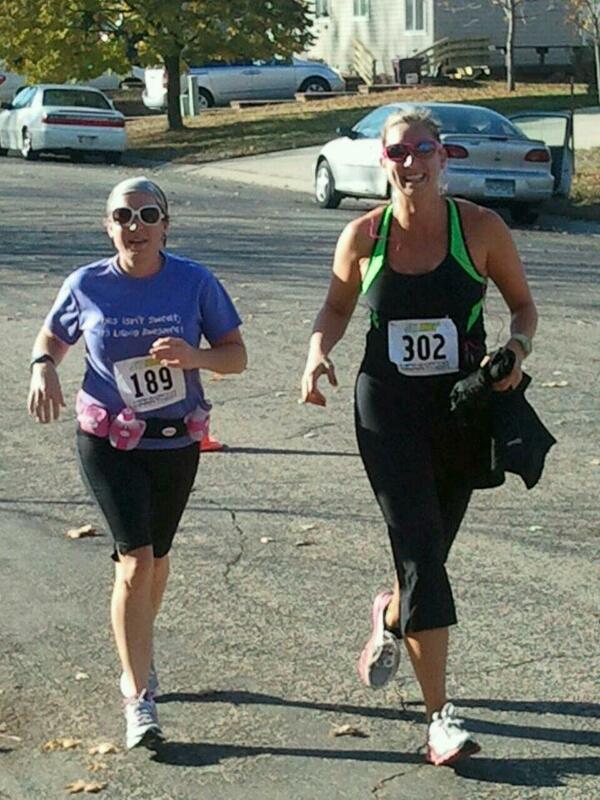 My friend Kim and I have run all 3, Mankato’s first marathon was also my first Marathon. To be honest I was just not feeling this marathon, it is truly a full time job training for this distance; the energy drain, the time way from family, and getting nothing done around the house can creep up on even the sanest person, which I do not claim to be. However, there is something about lining up and getting involved in races that really gets me excited. By mile 3 I was definitely glad I had trained to run this race, and as many times prior to the race that I may be qutoed as saying “this will probably be my last for a while” or “I am just not feeling it this time”, my head was in the race. Kim and I were on pace for a 4:12 marathon time until about mile 22, my chest started to hurt, and my pulse was really weak, I has a cramp in my right calf (which does not ever happen to me), my GU chomps made me a little nauseous; I needed fluids, so we slowed to a walk while I took on water as quickly and safely as I could, and we started running again. We crossed the finish line just over 4:22 about 3 minutes slower that last year, however, I knew already that there would be next year. As a bonus I explained to the lady with the medals I was running for a cause, and she gave me a medal for Ana …I think it is so fitting, because she will also have to be BOLD this year. 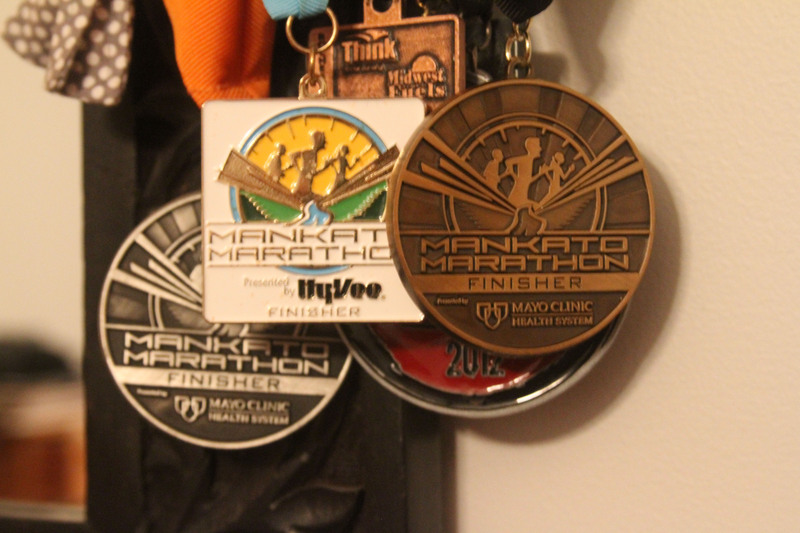 Think this collection needs a 4th Mankato Marathon medal???? It just might get one! Alright alright alright that’s exatlcy what I needed!